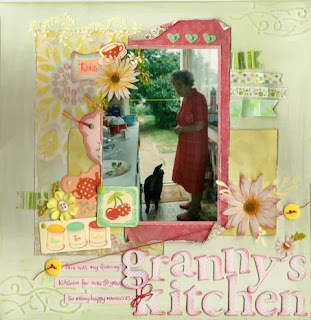 I'd like to tell you about a brand new weekly link-up right here on Arty Farty Annie - where I'll show you mine and you can show me yours! My home is full of little knick-knacks and memorabilia - mostly not worth much to anyone else but priceless to me, because they each have a story to tell. What I want to do is to record and share those stories here and I'd love it if you would do the same. Every Monday morning, I'll post a Show 'n' Tell about one of my little treasures, with some photos and a few lines about its history and what it means to me. It could be anything at all - a small ornament, a book, a thimble, a stone I picked up on the beach - you get the picture? I'll put a widget at the bottom of the post so you can link up to a post on your own blog - I'd love to hear your stories too. Granny started collecting Flora Dora china when she married Grandpa in 1935 and over the years she collected a whole dinner service. It had pride of place on the dresser in the dining room of their home and was only used on very special occasions. 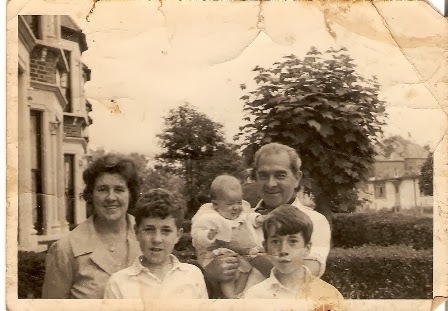 The picture above shows Gran and Grandpa with their two youngest sons, Keith and Barry - the baby Grandpa's holding is me! Today, Granny's china has pride of place on my own dresser and I love it just as much as she did, partly because it's beautiful and partly because it reminds me of the happy times I spent with Granny when I was a child. Here's a scrapbook page I made ages ago, showing a picture of Gran in her tiny kitchen, where she managed to cook for six children and fourteen grandchildren! Please use the link-up button below or put a link in the comments box to show me your own precious objects - I would love to hear your stories! PS btw Granny was right - tea definitely tastes better in a proper china cup! Your Gran's china is timelessly gorgeous. 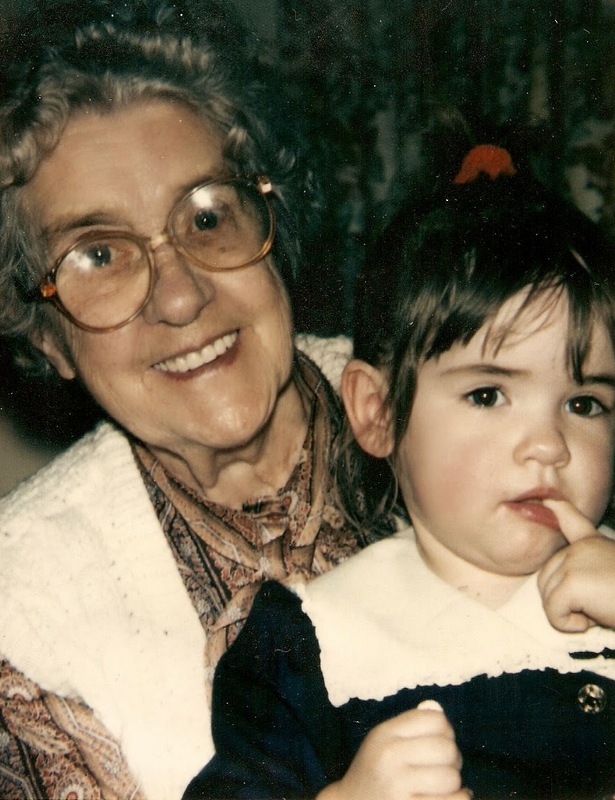 I am so happy you have something special to help you cherish memories of your wonderful grandmother! I want to link up with your party--great idea! I'll try on the plane, but if it fails, I'll link up at home. Happy new year! What a beautiful cup! I think I'll try to participate now and then - this will pair nicely with the still life photography class I'm taking. thanks so very much Annie for the invite to join this.. and yes have plenty could join with you but time is my killer sorry cannot do! I feel kinda bad - sorry! too many things on my "To Do" list and blogging takes up wa-aay too much time already so sorry! .. and every blessing in it, just love the story of your great granny, very lovely! Sorry I forgot all about your Show 'n Tell Annie - so much on at the moment. I love your little cup and saucer (I used to have some like that) and I'll try and add something to your No. 2 Show 'n Tell! Thanks for your lovely comment on my blog - so glad you like my album. More on this later! !